private partners, is devising ways to address housing problems of the economically challenged residents of Lahore, a gathering of mayors from around the world was told in Chicago on Thursday. 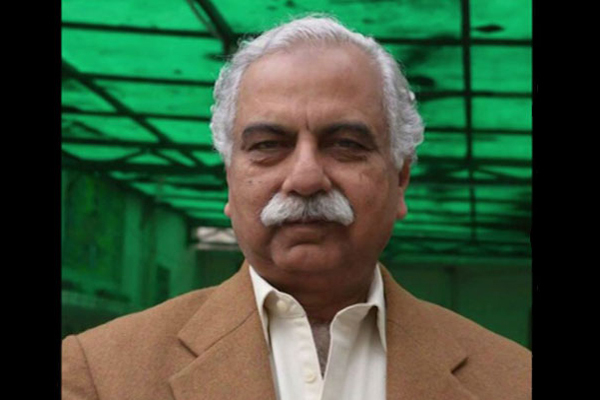 Mayor of Lahore, said that private sector was being encouraged to donate land for building cheap housing for the poor. Lahore on the land while the remaining is being used for providing cheap housing for the growing population of the country’s second metropolitan city. and Chicago Council on Global Affairs to share views on multifarious challenges being faced by other big cities. (Ireland), Toronto (Canada), Amman (Jordan), Philadelphia (United States), Atlanta (United States), Busan (South Korea), Budapest (Hungry), Bangkok (Thailand), Melbourne (Australia), Cape Town (South Africa), Prague (Czech Republic), Santiago (Chile), and Ibarra (Ecuador). This was Mayor Javed’s second visit to the third largest city of United States in three months which is reflective of special ties between Lahore and Chicago. In his keynote address on “Keeping Global Cities Safe and Sound Workshop,” Mayor Javed highlighted the steps taken by the Government of Punjab and City Government of Lahore in enhancing security in the city by installing eight thousand CCTV cameras and raising special Dolphin Force in collaboration with the City Government of Istanbul. These measures and the rapid response to any criminal activity, he said, had helped bring down the city’s crime rate. The response time of the Dolphin Force was 9-11 minutes, he claimed. Another task of the Government was to provide social and economic security to the youth by imparting them state-of-the-art education, training and employment. Gainfully employed youth with bright future was a significant factor in shaping the safety and security environment in any society. He also spoke in length about the measures taken by Pakistan in pushing back the tide of extremism by launching successful counterterrorism operations in Swat, Waziristan and Balochistan. Pakistan , he said, was one of the very few countries in the region which had successfully combated extremism. These successes must be backed up by economic and social development through domestic and international cooperation, Mayor Javed added. He asked the Government of the United States to re-pledge to its commitment of constructing Reconstruction Opportunity Zones (ROZs) in the troubled regions of Pakistan to provide employment opportunities to the youth. Despite serious challenges, he said, the Pakistani economy had gained growth rate of 5.3% and American companies in Pakistan like Ingredion, Procter & Gamble, General Electrics and Abbott were gaining profit of over hundreds of million dollars. Col. (R) Mubashir Javed also attended a dinner hosted by Mayor of Chicago in the honour of the visiting dignitaries. He thanked Mayor Emanuel for his hospitality. Mayor Javed extended invitation to Mayor Emanuel to visit Lahore, which he accepted.